A growing trend in the UK, especially amongst younger buyers or those who can’t afford the property they’d like on their own, is to get together with older generations of their family and buy a home together. Likewise high property prices, the cost of childcare and insufficient places in care homes to accommodate an ageing population can make it both emotionally and economically sensible to invite the grandparents to move in. 3G or three generation, living does work well for some families. Whether buying a big home to live in together, or opting for a property with annexe potential. The annexe option is a good choice for those that don’t want to be on top of each other the entire time, as it gives a degree of privacy and space. 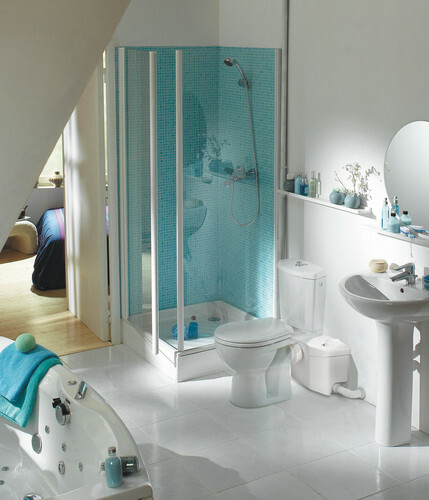 So if there is sufficient space to turn a ground floor room or a garage into living space it’s simple using Saniflo units to install ensuite bath/shower, WC facilities and kitchen facilities even where the soil pipe or drain is remote and gravity drainage is a problem. Saniflo…helping you keep your family together. This press release was distributed by ResponseSource Press Release Wire on behalf of Consortium Communications in the following categories: Children & Teenagers, Men's Interest, Health, Home & Garden, Women's Interest & Beauty, Construction & Property, for more information visit https://pressreleasewire.responsesource.com/about.